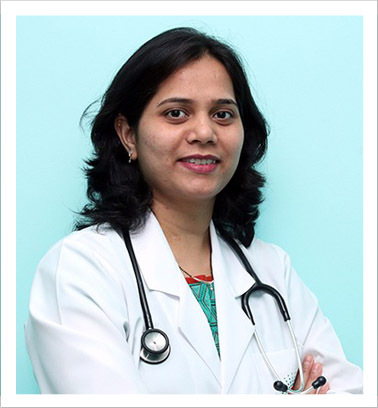 She has completed MBBS from LTMMC Sion, Mumbai in 2006 and further completed DNB Obstetrics-Gynecology in 2010 from St. Philomena's Hospital Bangalore .She has also done her Fellowship in Laparoscopy in 2014 from CIMAR, Edappal , Kerala .Dr.Himali , has worked as a Consultant in Kerala with various hospitals as Divine Medical Centre Wadakaancherry Thrissur, Devmatha Hospital , Koratty, Cooperative Hospital in Palakkad., PKM Hospital , Pandikkad, Baby Memorial Hospital Kalikavu. Management of gynecological, endocrinological & sexual problems in adolescent girls; and women of reproductive, menopausal & post-menopausal age. Treatment of different types of vaginal infection. Treatment of Abnormal Vaginal bleeding and irregular Cycle.